Gail’s Angels Foundation is a non-profit (501c)(3) organization dedicated to providing support to families that have a mom with breast cancer and also care for their autistic or special needs child. 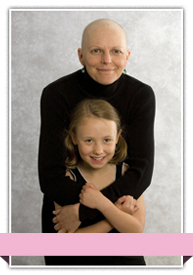 Gail’s Angels was founded in 2007 to honor the memory of Gail E. Babai who died of breast cancer in 2006. As the primary family care provider, the Chairman, James R. Babai witnessed first hand the difficulties of providing care during his wife’s illness. James also witnessed the challenges faced by other families who were not only experiencing similar challenges but, in addition, had a special needs child. Gail’s Angels was founded to help these families. THE FACTS ARE REAL … THE NEED IS GREAT! Autism is at epidemic levels, with 1 in 130 children nationwide affected, and 1 in 86 in New Jersey alone! Statistically, it is possible; there will be nearly 2,600 new families in 2011 that will be faced with both! The good news is … Together We Can Help! To provide an environment that lessens the stress and offers inspiration to mothers stricken by breast cancer that care for their autistic or special needs child. Our sole concern is the welfare of these families as the fight continues to be waged on breast cancer. We have touched the lives of many families. Each has received the inspiration they needed to achieve their desires. Gail’s Angels is a household name synonymous with hope. Gail’s Angels uses a network of professional service providers from both government and private sectors, to customize a program of relief and help for each individual family situation. 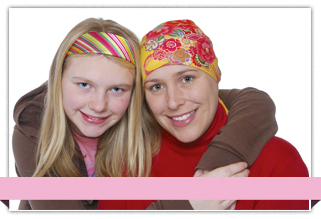 Gail’s Angels is concerned about every member of the family and will do what we can to lessen the stress of each one. Listed are suggested ways we can help. However, Gail’s Angels recognizes that all families have unique needs and we stand eager to help you with them.